I began my exploration of Iyengar Yoga in 1992 while living in Bali, Indonesia and my passion for this vast subject has only grown since that time. In 1996 I moved to San Diego to enroll in the B.K.S. Iyengar Centers of San Diego – Teachers Training Program. I travel regularly to study with my primary teacher and mentor since 2004, Carolyn Belko, the Director of the Iyengar Yoga Center of North County, San Diego. I have been teaching Hatha Yoga (based solely on the teachings of B.K.S. 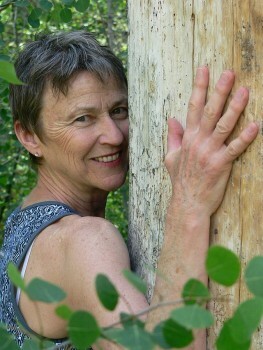 Iyengar) since 1997 and am a Certified Iyengar Teacher at the Intermediate Junior I level. In 1998, 2001, and 2014, I attended month long trainings at the Ramamani Iyengar Memorial Yoga Institute in Pune, India. In 2002 and 2007 I attended National Iyengar Conventions, where Geeta Iyengar taught mega-classes and again in May, 2010, at the Certified Teachers Convention,”Reflection” in Portland, OR. This was the first national convention to focus on therapeutic applications of Iyengar Yoga. 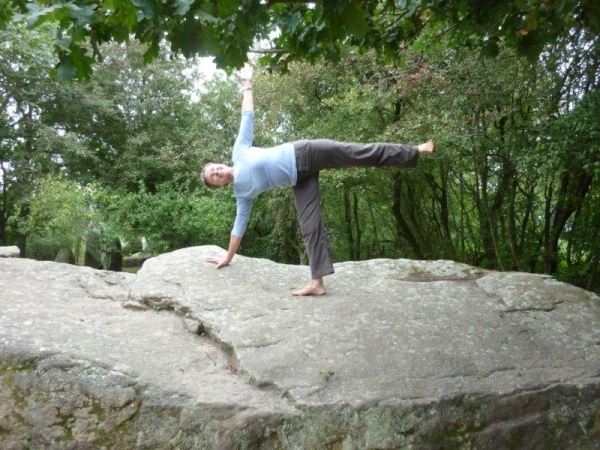 I maintain a personal daily practice and take workshops with Senior Iyengar Teachers regularly. Currently I am serving a 4 year term as the Treasurer for the Iyengar Yoga Association of the Northwest, which is our regional branch of the Iyengar Yoga National Association of the United States. Our regional branch I.Y.A.N.W. covers Oregon, Washington, Idaho, Montana and Utah! I view yoga as both a physical and spiritual journey so naturally practice and teach from the Yoga Sutras of Patanjali, which support a life of integrity; physical/emotional/mental well-being and spiritual growth. For many years I have embraced a lifestyle of simplicity and moderation and my home and studio are operated with respect for conserving the earth’s resources. I earned my B.A. at the University of Colorado then received an equally valuable education during 8 years of living and working as an Export Manager in Bali, Indonesia. In 1995 I made a solo-backpacking journey through Europe, India, Nepal, Tibet, Burma, and Thailand before returning to America to begin my teacher training. I feel grateful to all of the Iyengar teachers who have so generously shared their knowledge with me and enabled me to advance in learning.